Today, Oct. 29th, 2013, I decided to travel back to the Pleiades. Life is a gift, but it may become a torture. Support the right to euthanasia, one day you could need it. I uploaded all the works I could, even if not reviewed and unfinished. I hope somebody shall continue my work. Thanks to all those who supported me. I am even more grateful to those who disliked me, but respected me. This above is the epitaph that Michelangelo has left to take leave of you. Elisa and Jasmine, his daughters, are writing now. First of all, we’d like to apologize for not having broken this silence before. We don’t want our dad’s commitment for over ten years been in vain, so we’d like to carry on his job. We belive in the studies he developed and we want to spread his findings. 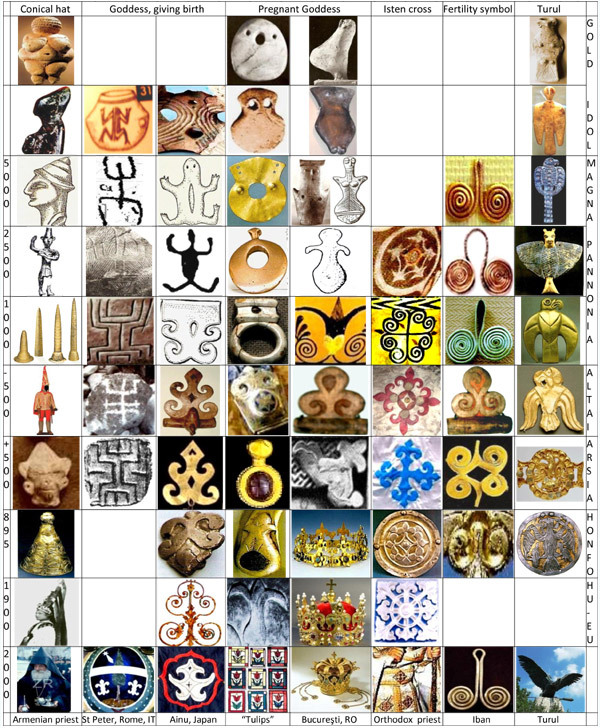 ANCIENT EUROPEAN AND HUNGARIAN HISTORY, ART, RELIGION, AND ARCHAEOLOGY. The last two centuries have seen the best resources in terms of historical, archaeological and linguistic research devoted to emphasising the Indo-European identity of the old world. However, Europe was not uninhabited before the Indo-Europeans came, as has even been suggested! What have we inherited from the first, indigenous, populations of Europe? Who were they? How did they live? Who did they worship? What language did they speak? What was their society, art and culture like? The aim is to restore to the collective European conscience the heritage that has come from our earliest ancestors, so that we may all be equally and with good reason proud of the common Finno-Ugrian, Saharian and Indo-European origins of our civilisation. … and some of them are still with us. Contributions in terms of knowledge, expertise and sponsorship are welcome.